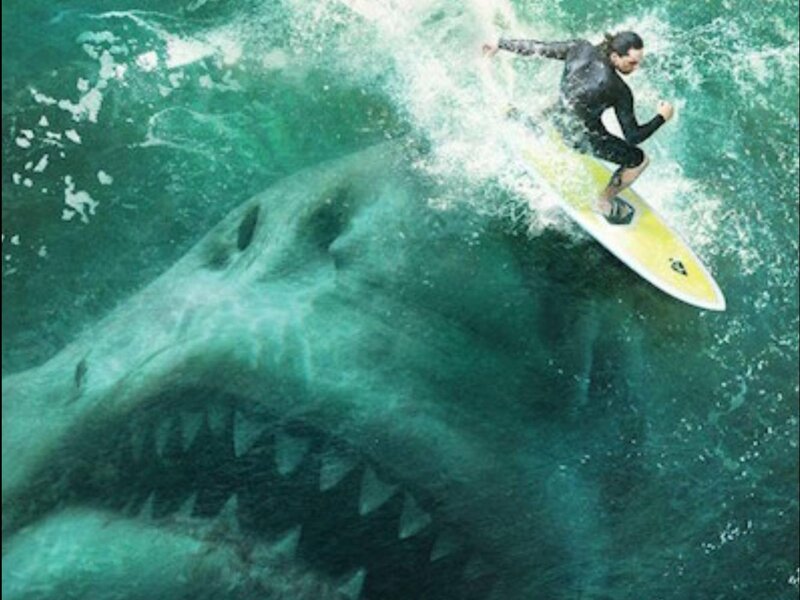 Home » Gag Reflex » Taking a bite out of 2017 with… Shark horror? In horror, oftentimes, you’ll see a reoccurring theme of some half naked nubile thing running up the stairs to certain doom. Aside from the human(esque) villain, you might get a phenomenal film featuring a monster of the animal variety (Cujo, The Fly, Arachnophobia). Once in a blue moon something spectacular like JAWS appears and the a franchise is born. 2017 and 2018 will bring us three news films also starring sharks. Three? That seems like a lot, but if it works, then who cares if a recycled idea is scary. Here is a quick overview of what we know so far about Cage Dive, Sky Sharks, and Meg. 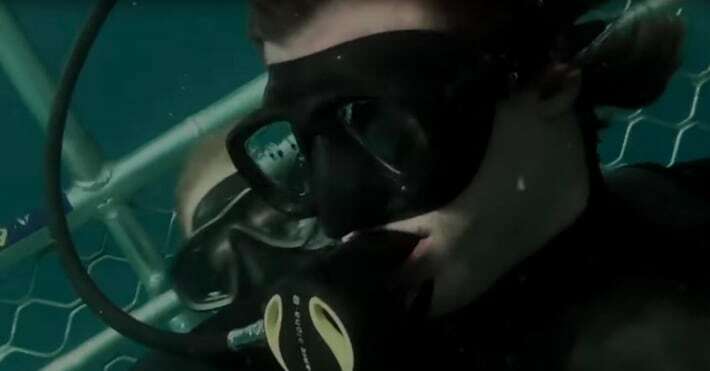 CAGE DIVE– Three friends filming an audition tape for an extreme reality show, take part in shark cage diving, only to be left in great white infested waters, turning their recording into life and death. The trailer alone reminds me of Open Waters but with a different kind of event triggering the plot. 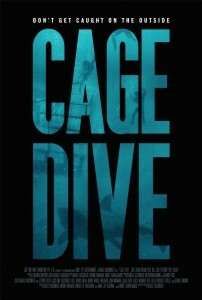 Cage Dive has no solid release date other than some point during this year. SKY SHARKS- Deep in the ice of the antarctic, a team of geologists uncover an old nazi laboratory still intact where dark experiments had occured. In order to conquer the world, the Nazis created modified sharks who were able to fly and whose riders are genetically mutated, undead super-humans. A miltary task force called “Dead Flesh Four” – reanimated US soldiers who fell in Vietnam – is put together to prevent world downfall. I feel like we can safely put this in the same category as Zombeavers, think Sharknado meets Red VS Dead (which, by the way, the latter I adore). It’s one of the soon to be cult classics where you choose to turn off your brain and eat your damn popcorn in glee. Right now, the official release date is September 1st. MEG– A deep-sea submersible—part of an international undersea observation program—has been attacked by a massive creature, previously thought to be extinct, and now lies disabled at the bottom of the deepest trench in the Pacific…with its crew trapped inside. 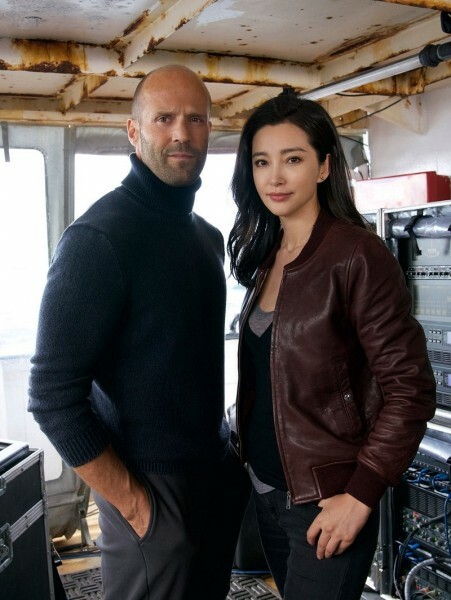 With time running out, expert deep sea rescue diver Jonas Taylor (Statham) is recruited by a visionary Chinese oceanographer (Winston Chao), against the wishes of his daughter Suyin (Li Bingbing), to save the crew—and the ocean itself—from this unstoppable threat: a pre-historic 75-foot-long shark known as the Megalodon. What no one could have imagined is that, years before, Taylor had encountered this same terrifying creature. Now, teamed with Suyin, he must confront his fears and risk his own life to save everyone trapped below…bringing him face to face once more with the greatest and largest predator of all time. Eli Roth was originally slated to direct. Now John Turtletaub has taken the reigns on this giant shark flick. Ruby Rose, Jason Statham, Li Bing Bing and Rainn Wilson are slated to star, so one might infer some major action and at least a bit of comedy mixed in. The film began principal photography in October.